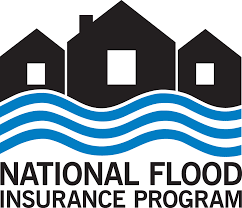 The National Flood Insurance Program (NFIP) administered by the Federal Emergency Management Agency (FEMA) is a mess. The program’s fiscal house is far from being in order, and now a PBS/NPR documentary reveals the ineptitude of the government management of the program. In the process, the insurance industry gets attacked and left with a black eye, partly because it didn’t fight back against the inherent bias in the reporting. According to the report, no insurers agreed to be interviewed for the documentary – that looks great. Insurance is a noble industry and profession. We help put people’s lives back together (when the government stays out of the way), and we grease the cogs of economic activity. It’s time for the insurance industry to stand up for itself more forcefully. This entry was posted in Insurance and tagged FEMA, flood insurance, NFIP on May 27, 2016 by drdavidallenbrown. In my pre-academic life, I spent a couple of decades as a technologist, consultant, and entrepreneurial software developer serving the risk management and insurance industry. To this day, I get excited about cool technologies and their potential impact on the risk and insurance industry. In other words, I’m a geek. The latest shiny object for me to fixate on is blockchain technology. In case you haven’t encountered this term yet, it is a foundational technology underlying the Bitcoin digital currency, and you can get a Blockchain crash course here. A gross oversimplification of blockchain is to think of it as a decentralized, distributed, secure, database of transactions that eliminates the need for a central authority to verify trust. Which makes perfect sense when you think of the Bitcoin digital currency that needs an underlying ledger to keep ownership of the digital currency secure and prevent double-spending without any centralized “bank” acting as the common intermediary to all transactions. But what does blockchain have to do with insurance? Articles and papers discussing various blockchain applications in insurance are beginning to appear. 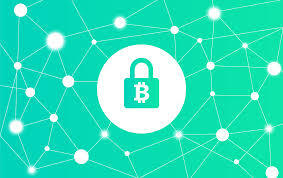 Blockchain technology may reduce or eliminate claim fraud by allowing insurers to instantly avoid duplication of payouts, and customer service could excel with smart contracts using blockchain technology to speed up claim payouts, or even proactively disbursing funds to repair/replace property that the Internet of Things reports as damaged. And we’re just scratching the surface. I am currently reading “The Business Blockchain” by William Mougayar in an attempt to wrap my own head around the possibilities of blockchain technology. Mr. Mougayar asserts that the evolution of blockchain technology in all business contexts and industries will be as revolutionary as was the advent of the commercialized World Wide Web in the 1990’s. As I learn more myself, I am entertaining a few intriguing research projects on the use of blockchain technology in risk and insurance. If Mr. Mougayar is correct, the next 5-10 years are going to be very exciting. This entry was posted in Insurance, technology and tagged bitcoin, blockchain, insurance, technology on May 20, 2016 by drdavidallenbrown. Proponents of hiking the minimum wage have been gaining momentum in recent years, and $15/hour is already happening in some cities like Seattle. The economics arguments for and against are well-known. Proponents argue that raising the minimum wage is a matter of basic fairness and survival for those at the bottom of the economic ladder. Opponents argue that minimum wages in general, and especially one that spikes higher suddenly, create market distortions that cause job losses and reduced job opportunities. Nothing new there. Both sides seem to have merit. Not to take sides here, but there is more to the argument against minimum wage laws than just job losses. Okay, so maybe I am taking a side. Personally, I tend toward libertarian thoughts, especially when it comes to economics. I do not begrudge anyone earning a fair rate of pay for the work they perform. I have raised three daughters, two of whom are still college students and working in relatively low-paying hourly jobs that pay roughly the minimum wage or very close to it. Would I want my daughters to work for less than their current pay rate if it were legal to do so? Not especially, but if the alternative were for them have no job at all, forcing them to extend their dependence on me… Uh uh. The current push for $15/hour wages nationally raises several concerns… for one thing, it’s inflationary. The Wall Street Journal published an article this morning which described the tensions created by “wage compression” which occurs when those at the bottom are suddenly thrust ahead on the pay scale and begin earning nearly the same as those who have much more experience and seniority. Now the employer is faced with some unhappy experienced workers who become less motivated to perform. The employer may feel obligated to elevate their pay as well to maintain equity in the workplace. All of this leads to some tough choices… eliminate some positions or raise prices or both in order to cover the added payroll costs. Inflation ensues. And what about insurance? Workers compensation premiums are based on payroll, and workers compensation benefits are based on wage rates. Higher minimum wages leads to increased premiums and increased benefit costs. Inflation. And then there is Obamacare. How will those folks feel about smaller tax credit subsidies to help pay for their mandatory Obamacare insurance policy once their higher income kicks in (assuming they still have a job)? When all is said and done, and the political winds calm down, we will likely see a new national minimum wage that could be as high as $15/hour. The earth will continue to rotate and the stars, moon, and sun will still be in the sky. But I have to wonder… if $15/hour is going to be so great for the American working class and our national economy overall, then why stop there? Why not $20 or $25 or even $50 per hour? 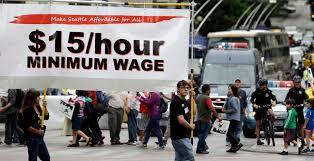 If $15/hour is great then a $50/hour minimum wage should end poverty and hardship forever. No, you say? $50, $25, $20 are arbitrary and ridiculously high pay rates. So is $15 for entry-level jobs that were never intended to be a career. This entry was posted in Uncategorized on May 6, 2016 by drdavidallenbrown.